One of the strangest matches of the 2015 ATP World Tour took place today in Atlanta, as a cramping Vasek Pospisil pulled off a minor miracle to beat Yen-Hsun (Rendy) Lu 6-4 6-7(3) 6-4. Pospisil was suffering greatly in the brutal heat after the first set. In that first set he held his serve with ease, and broke Lu once for 4-3, going on to serve the set out 6-4 without facing a break point thanks to his booming serve and quality forehand. In the second Pospisil was broken and went down 4-1 and 5-2, but Lu, who was steady from the baseline but too passive in rallies, had trouble closing the set out. Lu was broken for 5-4, and then Pospisil saved a set point to get it to 5-5. At this point signs of cramping began to show in Pospisil, with the 90 plus degree temps wilting him. The second set went to a close tiebreak but Lu took four straight points from 3-3 to take it. At this point it looked as if Vasek may well retire with the match at one set each, as he was struggling to move and serve. However, after taking a bathroom break and getting out of the sun, the Canadian #2 seed decided to trudge on, and what unfolded was a dangerous, but tenacious third set. Pospisil amazingly got through four holds of serve without facing a break point, as Lu was totally thrown off his rhythm. The veteran appeared bewildered as to what to do to force Pospisil to throw in the towel, perhaps assuming Vasek would simply beat himself or retire, Pospisil saved three break points even while he felt like lying down on the court in agony to go up 5-4, at one point falling down on his serve and laying on the ground, along with feeling his shoulder cramping. Pospisil’s serving was incredible and Lu frankly played a terrible third set against an opponent who looked like his soul melting in the heat. Lu was broken in the next game, going down 0-40 and with that, Pospisil shockingly advanced to the quarterfinals with a limp, though it’ll take an incredible recovery for him to be able to perform well in the next round. One has to question whether Pospisil was wise for continuing on in a medical sense, but his fight was a classic ATP world tour performance. Stats wise he popped 24 aces and faced just five break points while Lu has to be kicking himself for squandering a chance at another ATP quarterfinal. Veteran Marcos Baghdatis also showed tremendous fight as he joins Pospisil in the quarters, the Cypriot played an excellent first set against serve and volleyer Sam Groth and took it 7-5, after failing to break Groth from 0-40 at 2-2. Groth was clearly the player in worse form in the first set but his massive serve kept him in it, and he actually had three break point chances of his own at 3-4, which he likewise failed to convert with a poor ground game. Baghdatis would break for 6-5 at 15, and then serve the set out, as he appeared to be well on his way to a win. Groth flipped the script in set 2 however as Baghdatis level of play dropped a bit, Marcos got broken after saving two break points to go 3-1 down, and Groth held serve after saving a break point to go up 4-1. The final game for 6-3 Groth was a battle, but the Australian did force a third set and seemed to have the momentum. Baghdatis appeared to coming off the tracks going into the third, he got broken at love and nearly was broken again serving 0-2, but suddenly he flipped the script and engineered a surprising comeback. Groth was broken at 15 in the next game, throwing his hat to the ground, and from there he totally came off the rails, winning just one more game as Baghdatis broke and held once more to capture the match in a hard fought three sets. It’s always high risk tennis with Groth, and when his serve failed him, he lacked the game to compete with Baghdatis. Presuming he can recover from the three setter Baghdatis has played solid tennis through two matches. Two more quarterfinalists were determined in routine fashion, Gilles Muller dispatched an exhausted Jared Donaldson 6-3 6-2, as he’s played excellent tennis this week, returning especially well, and Go Soeda took advantage of Adrian Mannarino’s fatigue and won 6-2 6-4, as Mannarino played poorly in both singles and doubles this tournament. Georgia Tech’s Chris Eubanks also proved to be of no threat to veteran Czech Radek Stepanek, though hopefully it was a good learning experience for the soon to be Sophomore. In the other round 1 match, Ricardas Berankis saved two break points in the first set, and didn’t face any break points in the second as he beat Tim Smyczek 6-4 6-4, breaking at the end of the second to seal the win. The Bryan Brothers rolled past Groth/Guccione 6-2 6-1 in the night session, as Mardy Fish and Andy Roddick joined them as winners 7-6(2) 6-4 over Lu/Marray. Additionally Krajicek/Monroe beat Daniell/Demoliner 13-11 in the third set tiebreak, Baghdatis/Jaziri beat Becker/Lacko 7-6(3) 6-3 as Marcos won twice on the day, and Huey/Johnson crushed Martin/Raja 6-1 6-3. John Isner will begin his quest for a third consecutive Atlanta title as he’ll serve it up under the lights at Atlantic Station against the well-traveled veteran serve and volleyer Radek Stepanek. Isner dropped his last two hard court meetings against Stepanek and is on a two match losing streak, so he’s far from a lock to win. The fifth professional meeting between Jack Sock and Denis Kudla will take place earlier on in the day, Sock, like Isner is higher ranked, and he comes off the semis in Newport but Kudla won their last two hard court h2h meetings and he’s been in excellent form in the past month. 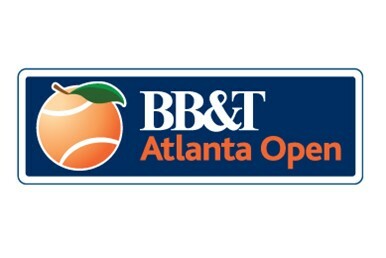 Steve Johnson, the fourth American who will play singles Thursday will face Ricardas Berankis for the first time, and Benjamin Becker (34) will take on Dudi Sela (30) hoping to avenge his loss to Sela last year in the Atlanta semis. Prior to that Becker won four meetings and presuming his back is healthy he’s likely a small favorite. Marcos Baghdatis will return to court for the third consecutive day as he and Jaziri will play Fleming/Muller, and the Bryans will be back at it against Huey/Johnson, as Johnson will have to pull double duty on the day.